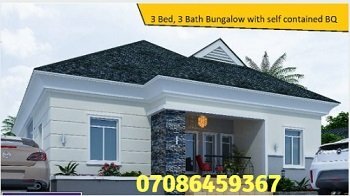 Home Buying Lagos Nigeria - Smart Home Buyer Tips. Home buying in Lagos Nigeria is somewhat different from the rest of the world because Nigeria is a peculiar country with a peculiar history. The concept of buying a home is, in fact, not popular at the moment except among the enlightened class. Most people prefer to buy a land and go through the rigors of building their homes themselves. If you're enlightened enough to want to buy a home instead of building one, then you should be a smart home buyer. You can be a smart buyer even if you're a first time home buyer. Follow the smart home buying tips below. My goal in providing these home buying tips is to help you avoid being scammed of your hard-earned money. These tips will ensure you get value for your money. At the same time you will have the most rewarding home buyer experience. Scammers tell unsuspecting home buyers that several buyers are in the process of paying for the property they're interested in in order to stampede them into making payment. immediately to avoid losing the house to another buyer. day or two to re-evaluate the property with fresh eyes. If the deal doesn't sound right, it's probably not right. The excitement of home buying can get you all carried away and make you anxious to PAY NOW and get the deal over with. To avoid succumbing to that temptation, invite a pair of fresh unbiased eyes to look at the property alongside you. This third party could be your wife or a family member you trust to tell the truth. A home built on state land will eventually be pulled down by the state government when she needs the property. And you won't get compensated. So, ensure the property is not on state-acquired land. Real estate scammers sell property indiscriminately using fake identity and documents. Be sure the seller is the property owner. Property buying in Lagos Nigeria is a wonderful experience. But be a smart Lagos Nigeria buyer by confirming the identity of the owner. Do not buy a property without getting all the documents related to the property. Ensure you get the original not duplicates. Get a qualified and trustworthy lawyer to prepare carefully-worded legal documents covering the transaction. And ensure all parties to the transaction sign the appropriate sections. Trustworthy witnesses means trustworthy transactions. Many real estate agents are in for the money. They abandon you once they have collected the commission due them. Consequently, many are anxious to have you pay quickly (a false move) so they can collect their commission and move on to the next client. That is a bad way to do business. This is where my team and I are different. We are a Lagos real estate company that focus on helping our clients get the best deal in every transaction. Customer satisfaction is our watchword. We match your needs with the properties available at the time of inquiry so your property buying is fulfilling and pleasurable. If a particular property is not right for you, we tell you just that. Of course, we get our commission for every deal but that is secondary. Your satisfaction comes first. Simple. If you're satisfied, you will come again. That is repeat business. You will also tell your friends and family. That is more business. Your Lagos Nigeria real estate buying experience should be a pleasant one. It should leave a pleasant taste in your mouth and a worthy inheritance for your kids. So, be a smart buyer! Click HERE to see how our Lagos real estate company can help you buy genuine properties with the highest possible return on your investment.